As almost everyone knows, we are animal lovers! Rescuing dogs and cats is our joy, and our pets are our children. 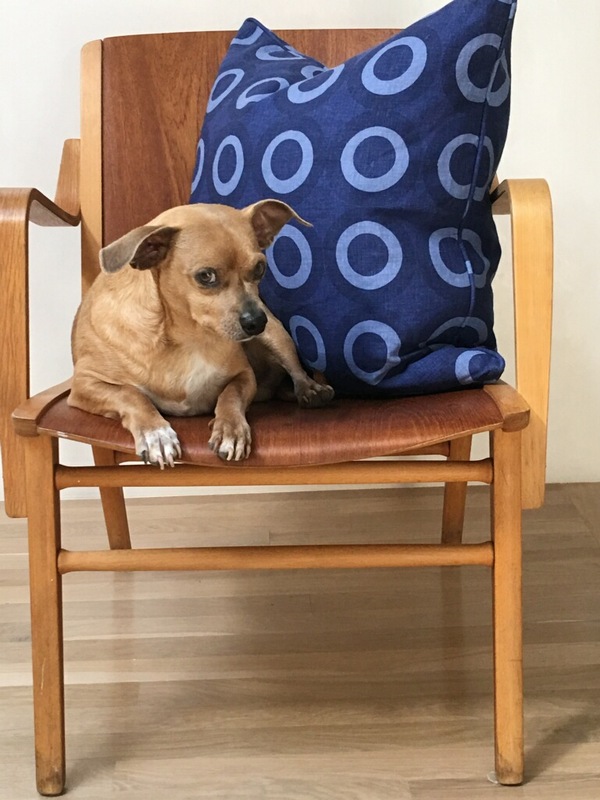 We believe our pets deserve the same comforts as our human counterparts, so we are liberal with our four-legged friends on couches, outdoor furniture, and in our beds…but living with pets does not need to come at the expense of great design. When selecting rugs don’t be too concerned. Get what works in the house. If you have wool rugs, they are cleanable with baby shampoo. If you have a catastrophe, there are usually professionals in every city that can get just about anything out of a rug (even an expensive antique rug). In Santa Fe we are blessed with one of the best textile cleaners in the United States. Tailored slip covers are also a great option for chairs and sofas. Easy to clean, should something happen. We love crisp white sheets for our bedding, as our dogs sleep with us. We believe just about everything is fixable. The reason you have a dog or cat is to give them the best life possible and with that comes enjoying all of the comforts of home that we get to enjoy. This entry was posted in Uncategorized and tagged Functional Interior Design, How to live with pets and have nice furniture, interior design, Interior Designers in New Mexico, Interior Designers in Santa Fe, Interior Designers in Texas, Interior Designers in the South West, Living with pets, Tips on living with pets, Tips on pets and interior design, Top Interior Designers in the United States. Bookmark the permalink.